Darleen Hopkins lives in beautiful northern Georgia with her husband and two boys. She started crocheting in 2004 and almost immediately began creating her own designs. She began designing professionally in 2010. When not designing, she is likely crocheting a hat for Halos of Hope. 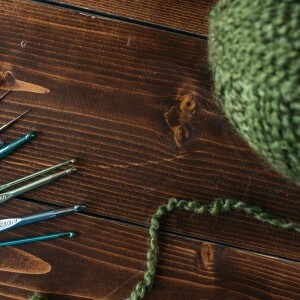 Her whimsical and fun loving designs can be found on Ravelry, Etsy, and Craftsy. 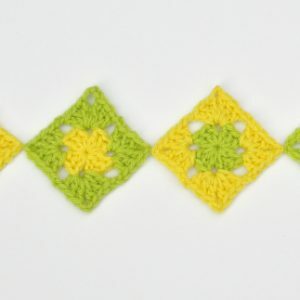 She is also very active on Facebook and Pinterest and blogs at www.CrochetByDarleenHopkins.com. “American Gothic” by Grant Wood was painted in 1930, however, the print on the woman’s apron is indicative of the 19th century. 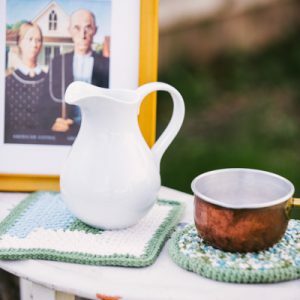 The farm women of the 19th century were true artists, turning fabric scraps into amazing and useful household items. The Americana Kitchen Set is a tribute to the women of that time period who worked tirelessly turning a house into a home. 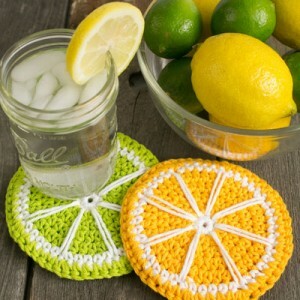 The trivet is representation of a braided rug and the dishcloth is constructed in the popular log cabin quilt block pattern. The Zinnia Votive is a cover for a standard canning jar. See the beauty of crochet lace like never before. A gorgeous way to light up your late summer nights. 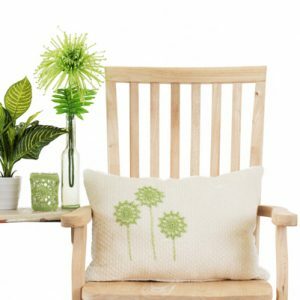 The Zinnia Pillow motif pattern is a quick way to dress up a store bought pillow. 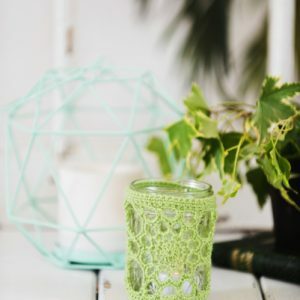 This beautiful accent piece coordinates perfectly with the Zinnia Votive. Simple and easy to work up, this case is a gift mom really needs. 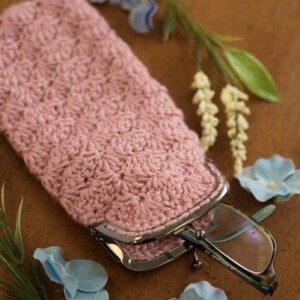 The soft yarn will be the perfect cushion for a pair of reading glasses and the pretty shell pattern makes the case an accessory she will want to show off. Plus, reduce the number of round repeats, and you will have a matching change purse. 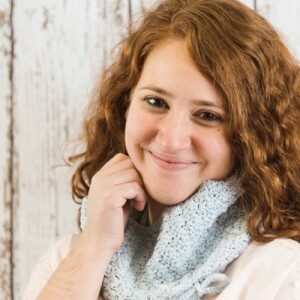 This beautifully textured cowl is generously sized to fit easily over your head. Pull the drawstring to keep the cowl snug against your neck and protect against the cold. You’ll love how it feels against your skin! The hat features a gorgeous color blaze brim which adds a second layer of warmth. Fold the brim up to cover your ears and protect them from the cold fall winds. Pair with the button up scarf/cowl to complete the warm set.